A former Tesla Inc. employee portrayed by CEO Elon Musk as a saboteur has filed a whistle-blower tip to the U.S. Securities and Exchange Commission alleging the company made misstatements and omissions to investors. Martin Tripp, a process engineering technician at the company’s massive battery factory in Nevada, who left Tesla on June 19 and was sued by the company shortly thereafter, accused the electric-car maker of inflating weekly Model 3 production figures by as much as 44 percent. In a tip filed to the SEC on Friday, he also said the company installed unsafe batteries in vehicles that may be at higher risk of catching fire later. Tripp’s allegations were summarized in a statement from Meissner Associates, a New York-based law firm that represented a former Monsanto Co. employee who was awarded $22 million in August 2016 for tipping off the SEC to improper accounting. 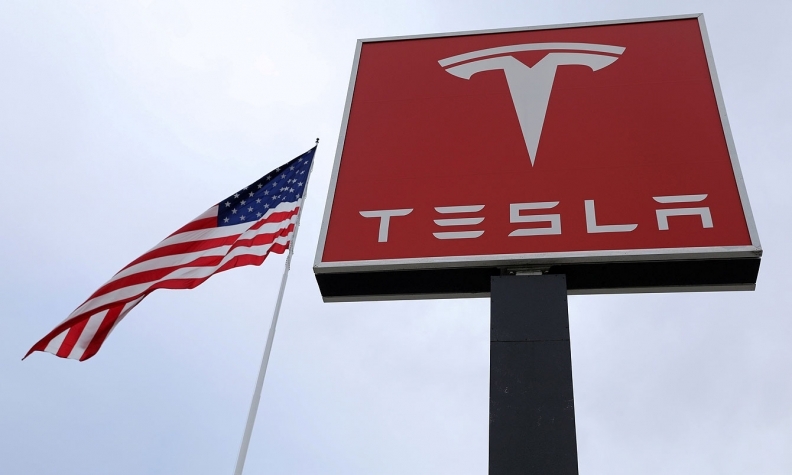 Stuart Meissner, a former assistant district attorney in Manhattan and assistant New York state attorney general, said he believes Tesla’s lawsuit against Tripp was part of a media campaign to defame and silence him. Tripp has struggled to hire a lawyer to defend him against Tesla’s lawsuit and created a GoFundMe page. He is seeking $500,000 in financial support and has raised about $14,000, according to the website. Tesla representatives didn’t immediately respond to a request for comment. The company accused Tripp in a complaint last month of writing a computer program to access proprietary information, sending material to three unidentified entities and attempting to cover his electronic tracks after he was denied a promotion. Musk, 47, wrote an email to employees alluding to the alleged sabotage effort days before Tesla filed its complaint. Tripp told the SEC that Tesla had installed batteries with holes punctured in them, placed battery cells too close to one another and didn’t properly affix them. Judy Burns, an SEC spokeswoman, declined to comment. Tripp also alleged that the company systematically reused parts that had been deemed scrap or waste in vehicles. The National Transportation Safety Board is looking into the flammability of lithium ion battery packs for EVs, including several fires involving crashed Teslas. Whistle-blowers are eligible for payouts if they voluntarily provide the SEC with unique information that leads to a successful enforcement action. Compensation can range from 10 percent to 30 percent of the money collected in any case that leads to a penalty of at least $1 million. The SEC said it has awarded more than $266 million since the inception of its whistle-blower program in 2011.